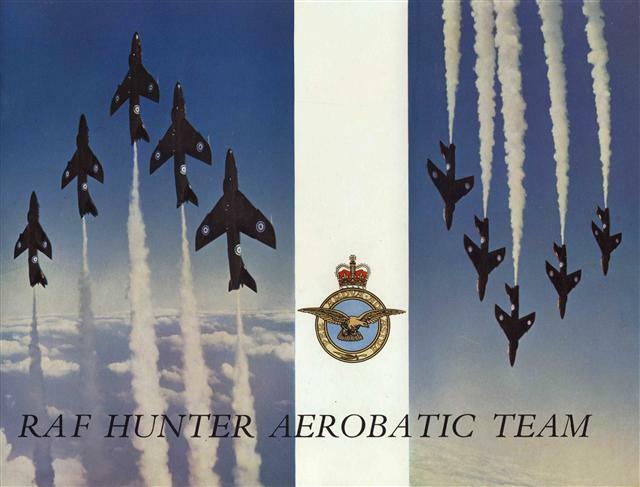 Photo of Hunter signed in 1959 to 'Bill Russell' at the '59 Farnborough air show. 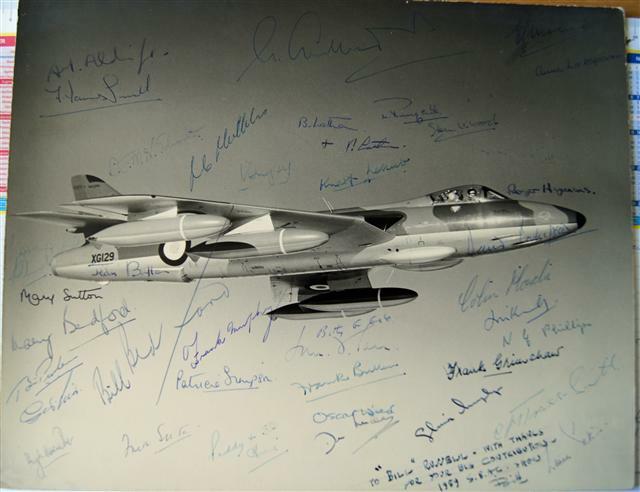 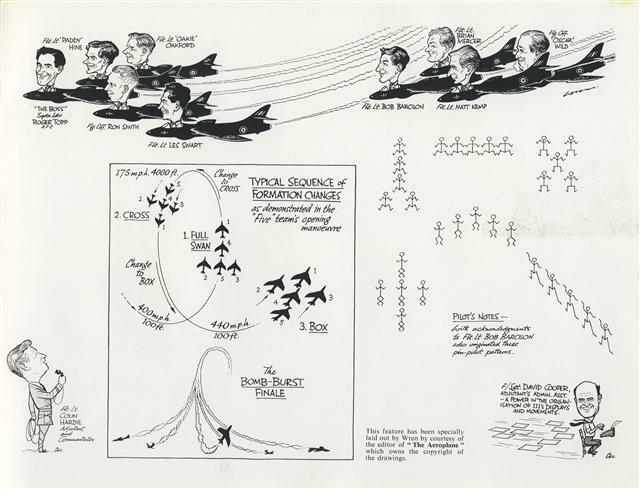 Autographed by Bill Bedford,most of the '59 Black Arrows team, test pilots, together with many of their wives. 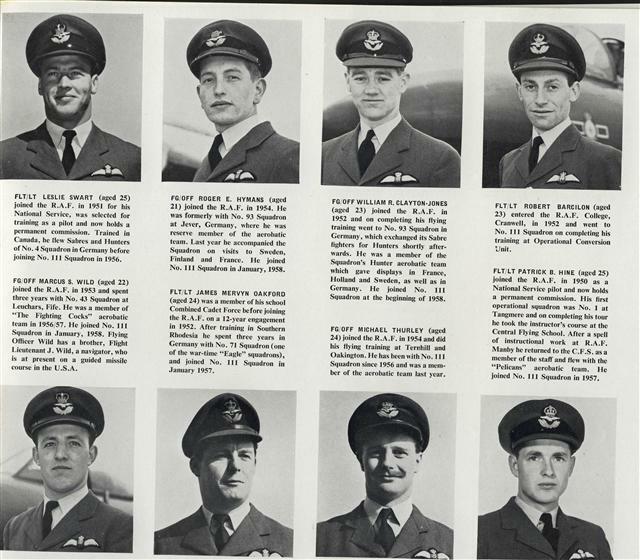 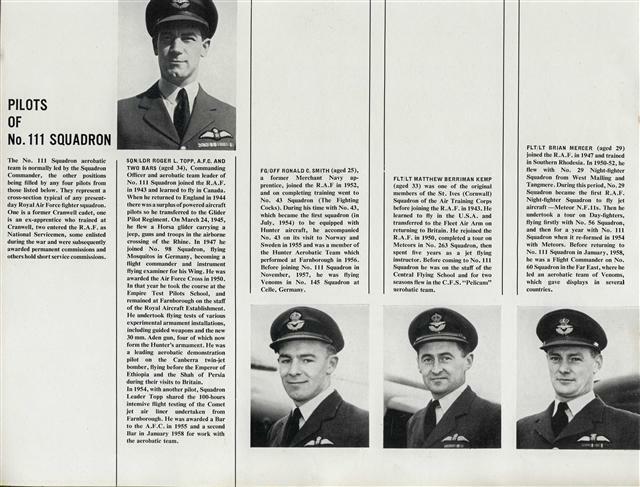 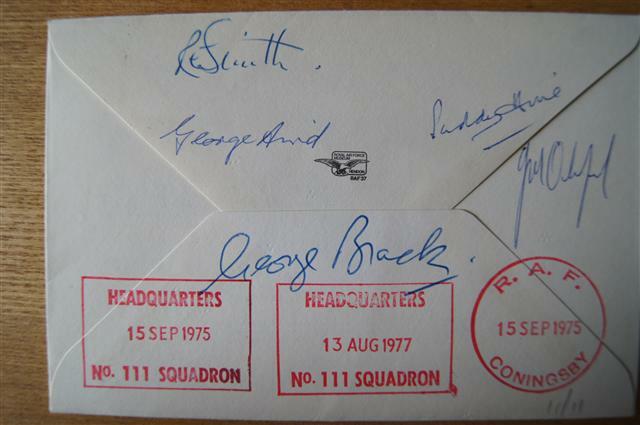 Cover signed by Flt Lt G P Aird, Flt Lt R C Smith, Flt Lt J M Oakford, Flt Lt P B Hine, Sqn Ldr P A Latham,Sqn Ldr G P Black, Wng Cdr D P Hall, Wng Cdr P S Collins, Wng Cdr J G McCluney.